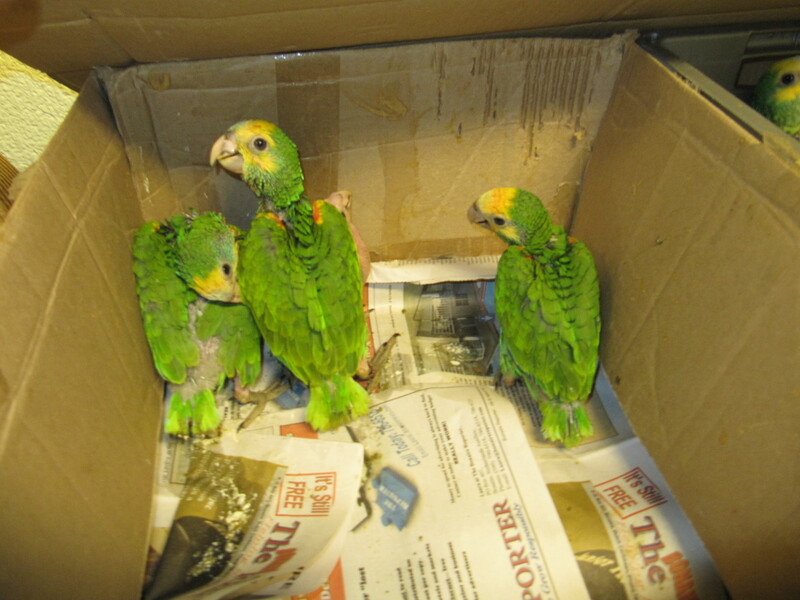 Staff from Echo and STINAPA rescued 100 baby prikichis (local parrots) from a poacher on Bonaire. They were unwearned babies in bad condition. 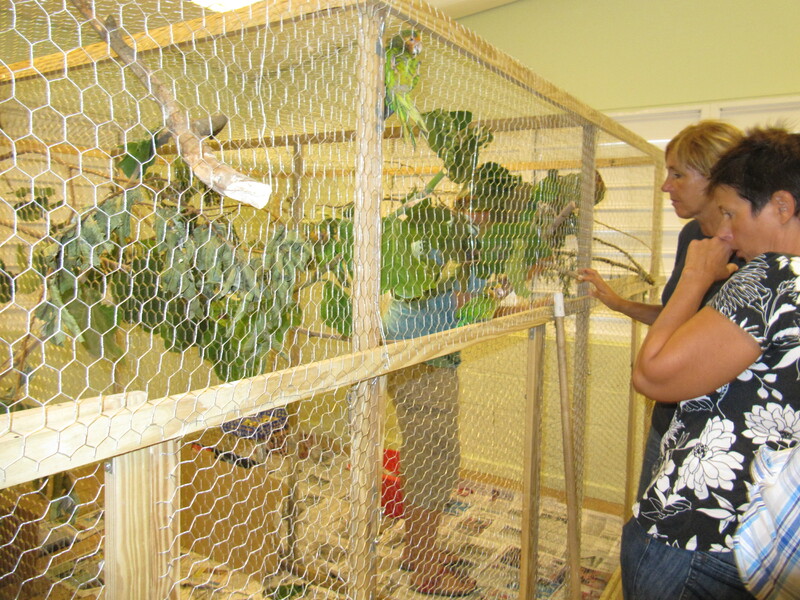 Dr. Sam Williams and staff rescued the babies and took them to a special location on Bonaire setting up a nursery. 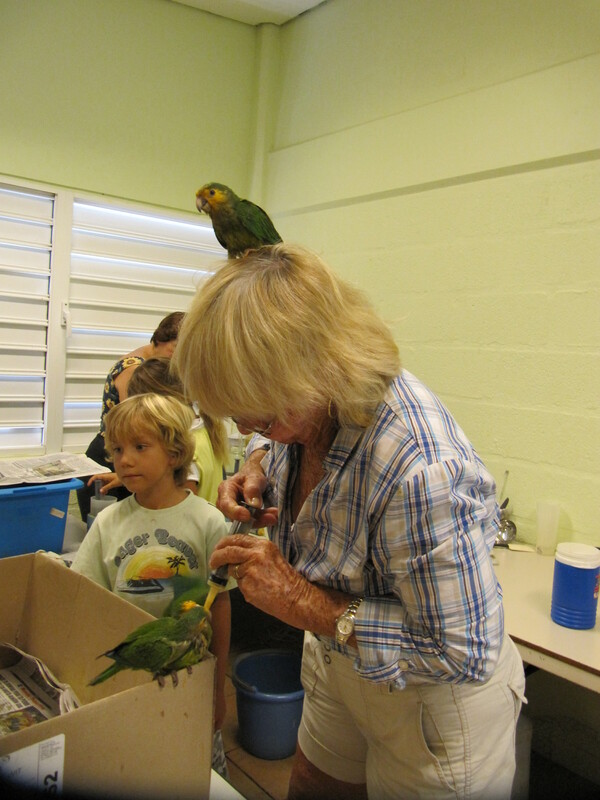 Since that rescue Echo and volunteers from around the world and island have been working feverishly to feed the parrots. 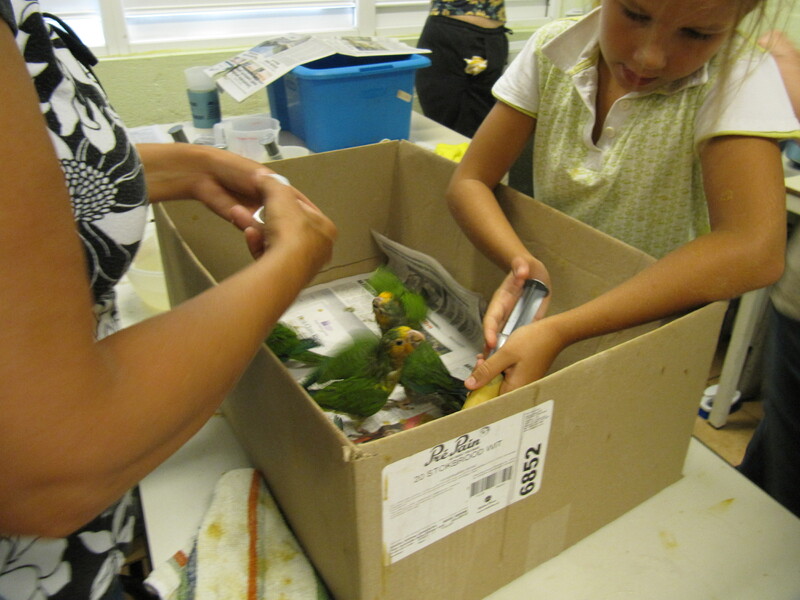 Since the rescue parrot expert Phobe Linden, a parrot expert from the US, flew in to assist. I was able to observe a morning feeding session. Poaching is a serious problem. The population of endangered Yellow-Shouldered Amazon Parrots is in decline..* As a result The World Parrot Trust and World Nature Fonds has provided monies to suppor this rescue effort. I will begin assisting in the feeding this week. To be continued! This entry was posted on July 22, 2011 at 3:40 pm and is filed under Culture. You can follow any responses to this entry through the RSS 2.0 feed. You can leave a response, or trackback from your own site. If you wish to donate food please email ann@bonairecaribbean.com for details. 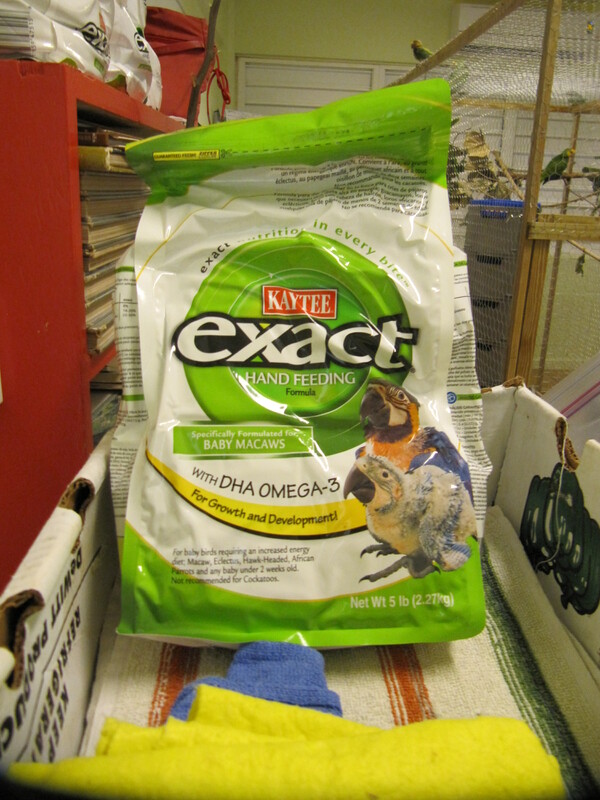 Annie..We’re bringing down several pounds of the parrot food first week in Aug. CU then..
thanks Vince and Nina..wait ’til you see the little buggers..ADORABLE..do you need me to send a photo of the bag of food they are using?